It's here. The week of my surgery is finally finally here! You may wonder why I finish that sentence with an exclamation point. Surgery is supposed to be scary and painful right? Well, if you had waited a year to figure out what to do about a painful thing like Endometriosis, you would be doing a happy dance right along with me! I am finally going to be doing something about it. Surgery is not a cure. I'm going under the knife with this in mind. It is a temporary relief. But it is relief. It is a chance for something to change for the better. This past summer was one of the longest and most painful of my life. You wouldn't know that from reading my blog- I tried really hard to keep the creativity flowing because that's one way I cope. But my body slowed down with the pain caused by disease, exhausted with the effort of trying to maintain a somewhat normal life. At times my despair was more than I thought was possible to experience. Would I have to be like this forever? Would I ever find relief from the pain? I felt oh so very alone. I turned my heart towards my Savior more than ever. 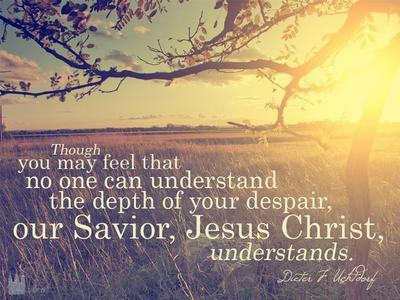 He comforted me. He let me know that He was there. I can write here now with certainty that I know there is a God. He has a Son who died for us. That Son is Jesus Christ. If I've gained anything from the years and years of pain, it is this. He is there. He loves us. He understands. He wants to help us. I'm holding on to that with all my might. I don't know what the outcome of this surgery will be. It may very well be the end of my ability to bare children. I'm trying to prepare myself for that. 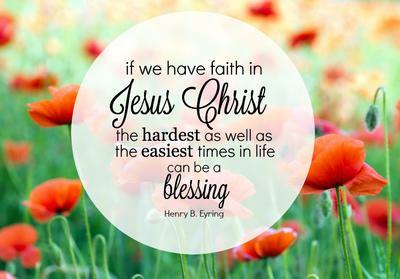 I'm going in with faith because that is the only way I can move forward. That is the only way I can be happy. What the Lord has planned for me is better than what I would plan for myself. Good luck Elise. I wish you the best! So true. I pray that the surgery will be very successful and bring great relief and children. I pray this knowing the He will hold you tight if it does not. Thank you Beth! I know I'm watched over no matter what happens. I'll definitely lift you up this week, Elise. Praying for an end to pain, a quick recovery and an even deeper relationship with God as he walks you through this season. Thank you Dana. That means so much to me! I pray that the surgery is a success. I can relate so much to what your going through, I have had hormone issues since January of this year, and we're just now figuring out what's wrong. But even though its been a long year, God has certainly been there for me every second of every day! God bless! Thanks! I'm sorry you also have to deal with hormonal issues. no fun. Best of luck to you too! May the Creative Force that blesses you watch over you and bring you the healing your so need. You are a powerful woman. Bring out the beautiful orange colours of Healing, autumn is just a whisper away! I will send you my prayers wrapped in a cloud of whispering orange! Elise, your faith makes me want to be better! I'll keep you in my prayers tonight and tomorrow! Good luck Elise. Your faith is inspiring!